"Varicose to Perfect decided to seek IAC Vein Center Accreditation because we are committed to delivering the very best quality of care. We are proud to be deemed one of the top vein centers in the nation," says Dr. Sinnathamby. The IAC grants accreditation only to those facilities that are found to provide the highest quality patient care, in compliance with national standards through a comprehensive application process including a detailed review of selected patient procedures. Such are the rigorous standards of the Intersocietal Accreditation Commission, that Varicose to Perfect is one of only 24 centers in the United States and only 3 vein centers in Ohio to have received this prestigious accreditation. Accreditation by the IAC means that Varicose to Perfect has voluntarily undergone a thorough review of its operational and technical components by a panel of experts. During the accreditation process, applicant vein centers must submit documentation on every aspect of their daily operations and the performance and management of venous disorders. IAC accreditation is widely respected within the medical community, as illustrated by the support of the national medical societies related to superficial venous disorders, which include physicians, physician extenders, nurses and ultrasound technologists. It is a “seal of approval” that patients can rely on as an indication that the vein center’s processes and procedures have been carefully evaluated by medical experts in the field of treatment and management of superficial venous disorders. Whether to relieve symptoms and/or improve appearance, treating varicose veins can be performed by vein centers that specialize in the evaluation and management of superficial venous disorders. There are many facets that contribute to a positive patient outcome: successful treatment of the venous disorder, the training and experience of the vein specialist performing the procedure, the type of equipment used, and the quality assessment metrics each facility is required to measure. Varicose to Perfect is led by Dr. Sukir Sinnathamby, an interventional vascular physician and long-term resident of the Dayton, Ohio area. Dr. Sinnathamby specializes in non-invasive evaluations, diagnostic angiograms, and vascular procedures. As a highly skilled, Board Certified physician with decades of experience in endovascular medicine, Dr. Sinnathamby provides the very best in comprehensive patient care for those seeking relief from their varicose and spider vein symptoms. “Varicose to Perfect decided to seek IAC Vein Center Accreditation because we are committed to delivering the very best quality of care. We are proud to be deemed one of the top vein centers in the nation,” says Dr. Sinnathamby. When scheduling a vein center procedure, patients are encouraged to inquire as to the accreditation status of the facility where their treatment and management will be performed and can learn more by visiting www.intersocietal.org/vein/main/patients/htm. 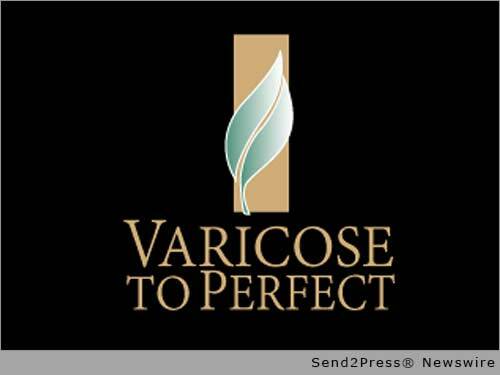 For more information regarding Varicose to Perfect, please call 937-748-8905 or visit http://www.varicosetoperfect.com/.